Over 2500 bills every year are generated by a Legislature that includes few lawyers and many short-term lawmakers with special interest agendas. Many of these bills affect judges by altering procedure, reducing judicial discretion and changing the administration of the courts. Bills may also affect judicial compensation, retirement, ethics and accountability to the CJP. CJA monitors legislation to either oppose, support, amend or sponsor bills that affect the courts, taking care to limit our involvement to procedural matters and issues of judicial administration. CJA works with the Judicial Council, the State Bar and other organizations to mobilize the expertise of its members. The association’s committees review bills, recommend positions and carry the judges’ message to Sacramento. CJA participates in coalitions and ‘working groups,’ that generate major legislation and offer early input on bills as they are drafted. In this way, judges can prevent problems in the early stages and help legislators introduce court-related bills that are sound. Your legislative contacts are the currency of the CJA’s legislative advocacy. Members of CJA who have relationships with members of the Assembly, Senate or their staffs may be called upon to explain the merit of CJA’s positions and to ask for votes in committee and on the floor. CJA is involved in countless court-affecting bills that are passed, amended or defeated. In past years, CJA was responsible for the link between salaries of state employees and the judiciary that has yielded regular increases, even in years of hostile climate and budget crisis. In 1986, a CJA-generated coalition defeated Prop. 61 that proposed to cap all public salaries. For decades CJA fended off attacks on the Judges Retirement System and worked to preserve the one-tier pension system. 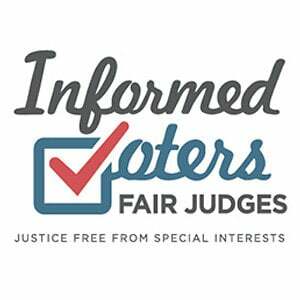 Allow counties to provide comparable health benefits for retired municipal judges as received by superior court judges and retirees. Allow judges with PERS service, the benefit of reciprocity with JRS. Allow judges to purchase retirement service credit for time spent as a commissioner.